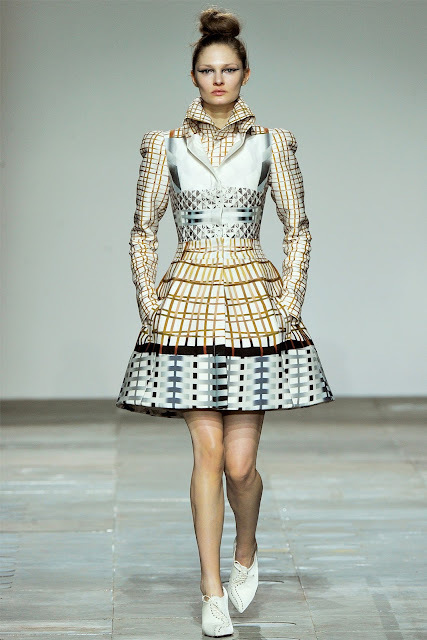 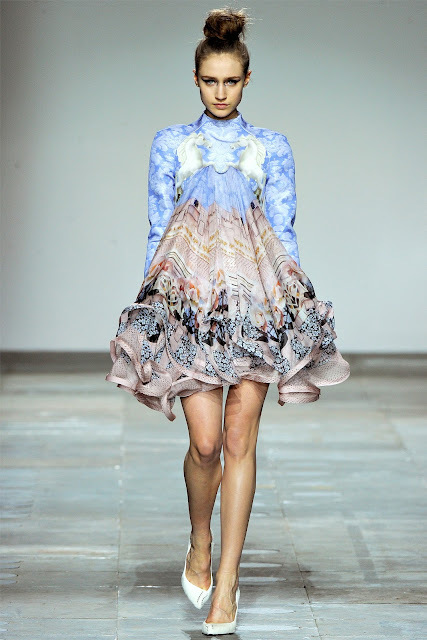 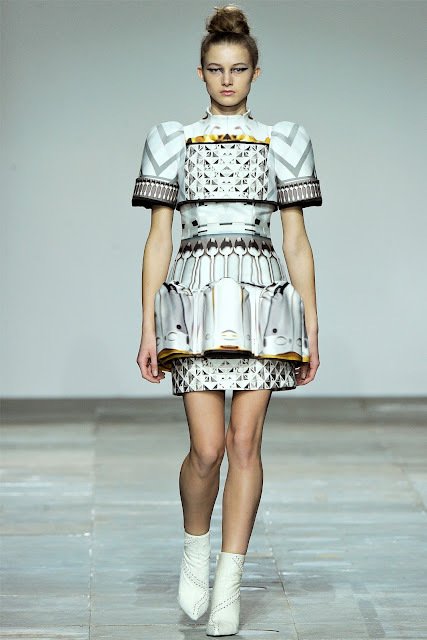 Love, love, LOVE this fab AW12 collection by Mary Katrantzou which made an appearance yesterday at London Fashion Week. 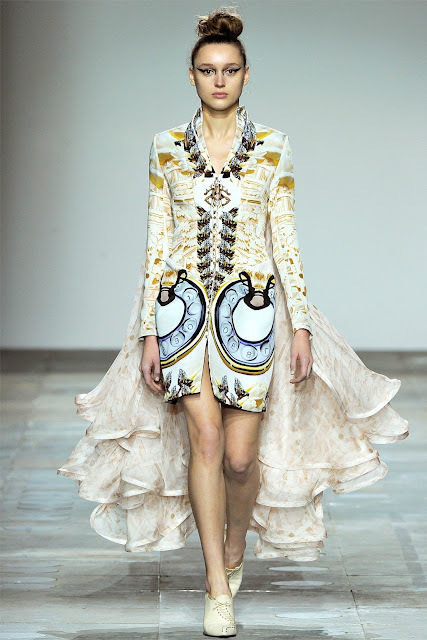 The eye-catching bold over-sized prints and colour blocking draws you in with an abstract feel, moving on from her previous season. I love the mix of tough looking structured pieces along with the softer flowing silks and chiffons. 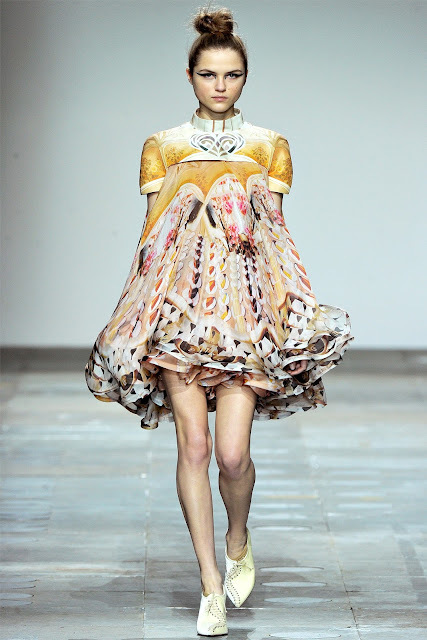 Check the LFW webiste for more info/catwalk videos.